1. 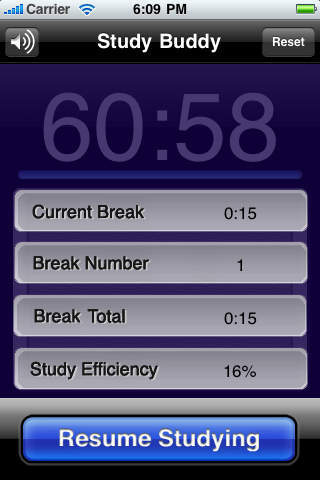 Study Buddy – This user- friendly iPhone app helps manage your study time and your efficiency with your study time. You set the amount of time you want to study and off to studying you go! You can even take a study break! 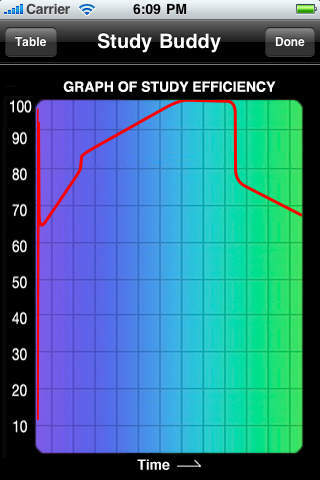 It logs the amount of time you were not studying. 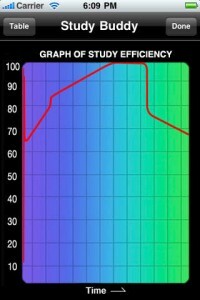 At the end of your study session a graph is created to show your efficiency. The only downfall is if you exit the app, it sends you to a study break. The app does the same thing if you answer the phone. 2. Trello – I use this on a daily basis and love it! 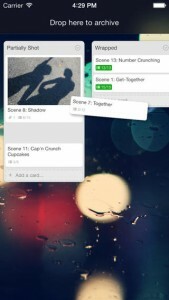 Trello makes group projects easy! 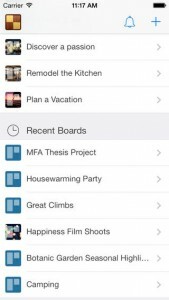 This iPhone app allows you to create a project, assign tasks, attach files, set due dates, and manage several projects all at the same time. The best part about this app is it allows you to add people to the project and communicate with them easily. 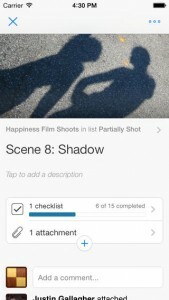 The iPhone app and web app counterpart both have terrific user experiences..
3. 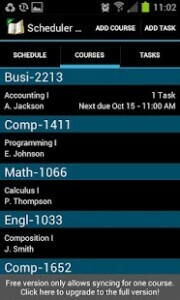 School Scheduler – An easy to use Android app that allows students to have their school schedule in the palm of their hand. 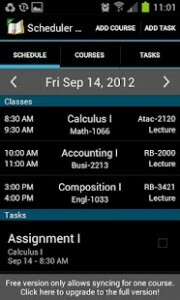 This app comes highly recommended by Droid Nerds and Android Tapp. 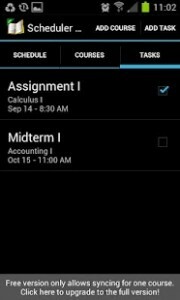 It’s easy to use and allows you to add tasks, courses, professors, rooms, and even the contact information for your professor (You WILL need that. Trust me!). School Scheduler is user-friendly and everything can be synced to your Google Calendar. Nikki works at Stone Soup Technology, LLC, an Atlanta-based software development company that develops iPhone app and Android apps, complex web applications, creates valuable big data mining software, and engineers artificial intelligence solutions for several Fortune 500 companies. This entry was posted on Thursday, August 14th, 2014 at 10:37 am and is filed under Atlanta Android App Development, Atlanta iPhone Development . You can follow any responses to this entry through the RSS 2.0 feed. You can leave a response, or trackback from your own site.